Since this is a gallery, I figured it's appropriate to post a photo of the SB ti as it is more or less currently built, with the Serotta ARO fork and TRP brakes. Back before the bike was built, Steve and I were discussing fork options, and the two finalists in the running were the Serotta ARO and the Seven 5E. Steve's comment about the Serotta fork was that "it looks like a supermodel fork—tall and skinny." 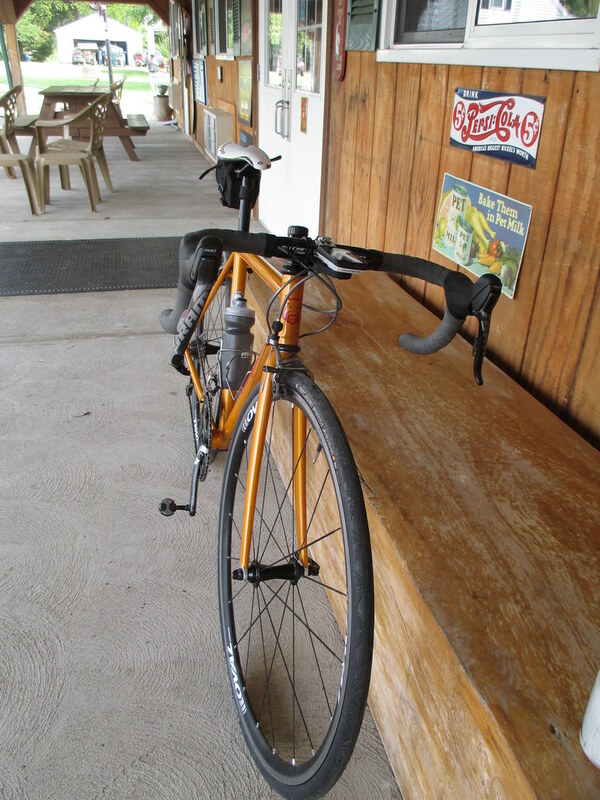 Since I wanted to be able to fit up to 32-33mm tires such as Jack Browns, the Serotta was out, as Heidi Klum would say. Fast forward a couple of years and Serotta was starting to hit the skids for the last time, so I decided to spring for an ARO fork before there was no more such thing. Although it won't fit a Jack Brown, there's a decent amount of room to spare with the plump FMB 27s so it would probably fit up to a 30mm tire. It's nicer looking than the Seven fork, and the ride is smoother (which makes sense, since it's basically Serotta's road fork with longer dropouts). I'll see about taking some nicer photos. 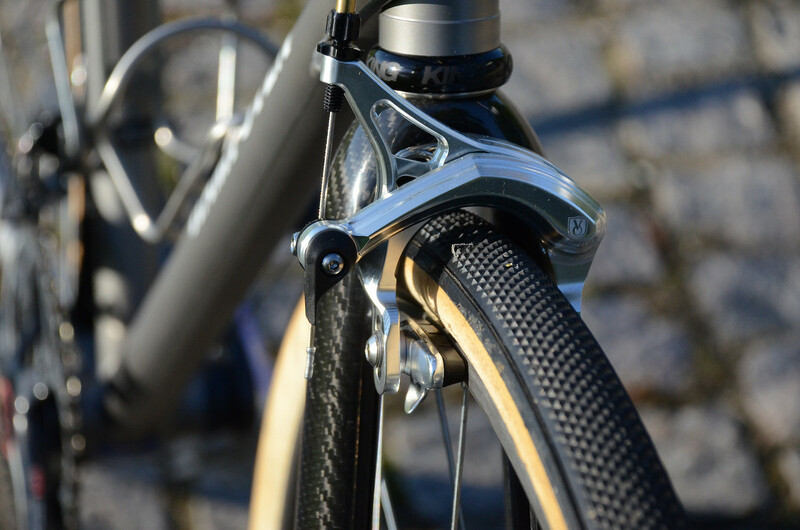 What brakes are you using? That looks like a keeper! 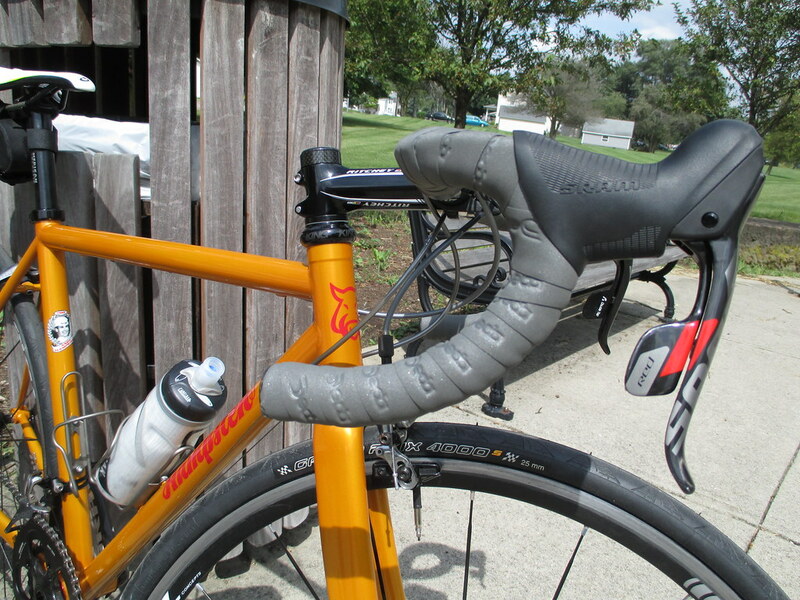 Wound Up fork-clad Strada Biance owners: how do you like the fork/frame combo? I'll start by saying I have never ridden an SB with any of the other setups. With that in mind, here's another vote for the Wound Up fork! I have one on my SBTi and love it. 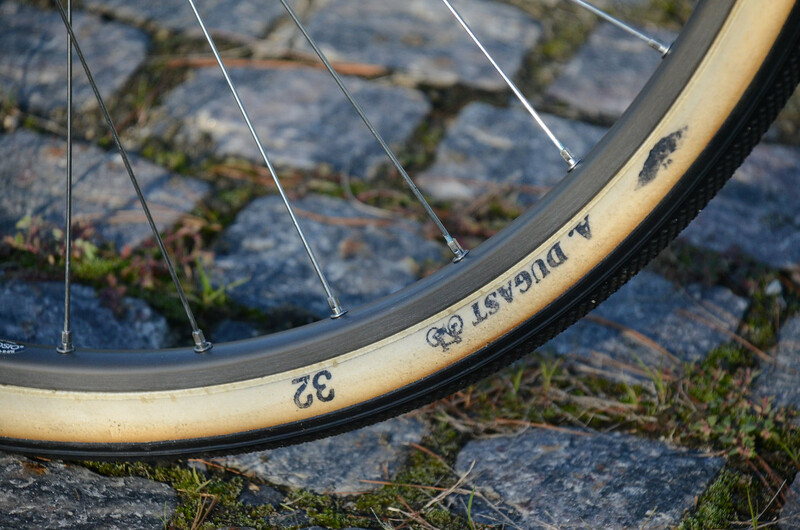 Takes big fat tires (easily 30mm, maybe 33 but I've never tried it), or fat tires and a fender. Never a chatter. Descents are super stable. Handling is spot on. One more thing to add - Wound Up customer service is really, really good. I stupidly stripped the threads in my fork fender mount a couple months ago. I called Jake at Wound Up and he said he'd fix it for a very nominal fee and to ship it in. I sent it along, and less than a week later he emailed me to say it was done and then called me with the tracking number. Couldn't have asked for more prompt or pleasant customer service. 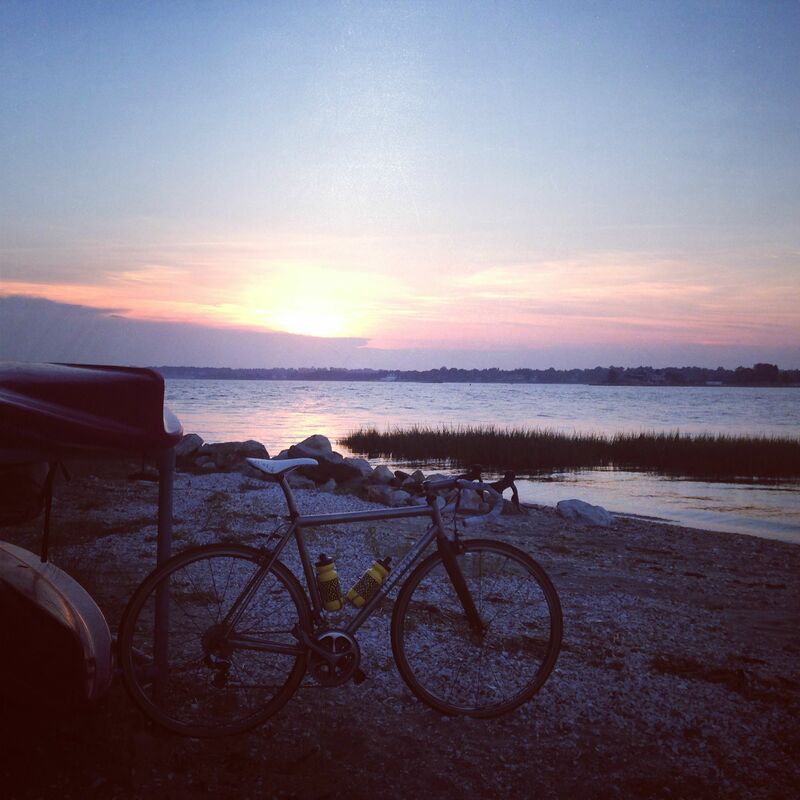 Have I mentioned that I love this bike? Thanks Steve! That is a fine looking bike, and hits a lot of boxes for me. 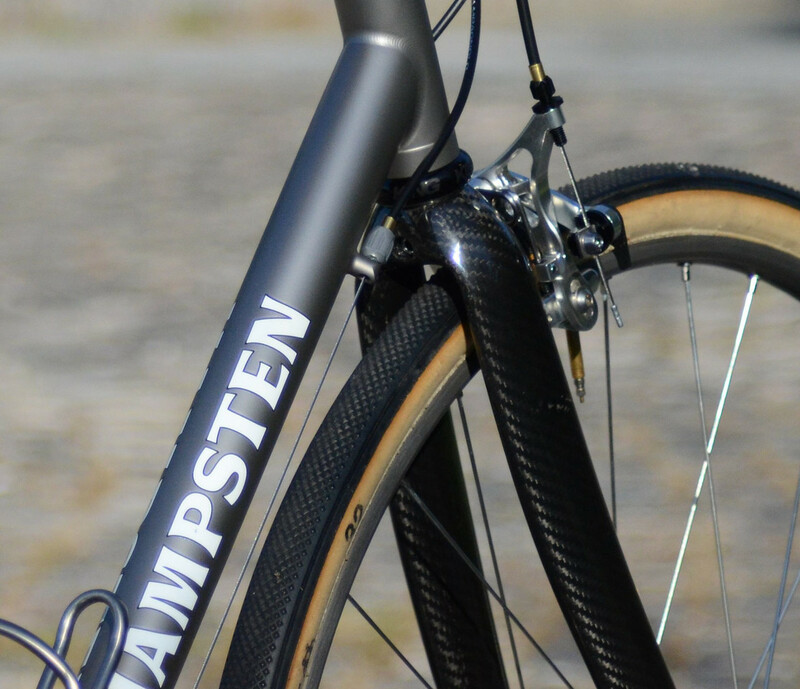 I couldn't find anything similar on the Hampsten site; what model is this? Ride it in good health. Thank you. It's a Strada Bianca built with lugs (rather than the typical TIG) and post mount Racer M brakes. Here's the original post that has more pics - I've changed the cables to black and the tape/saddle to brown since those were taken. 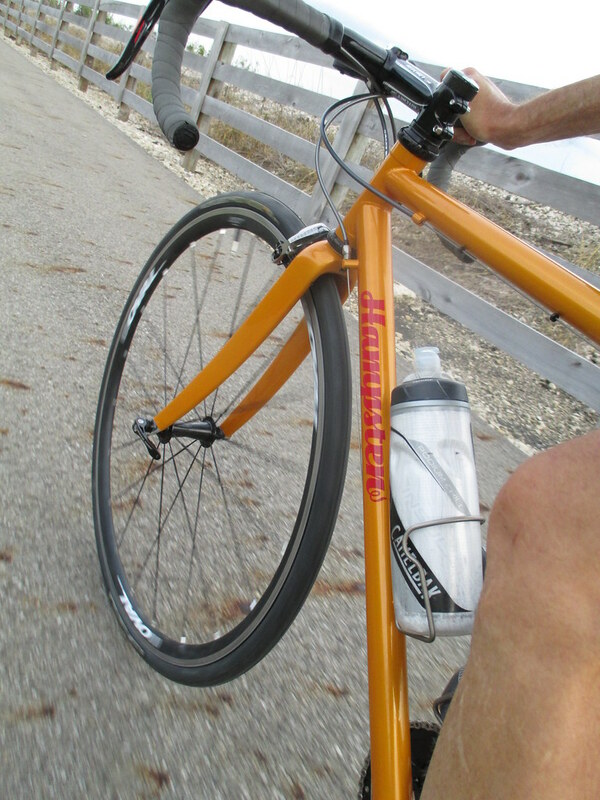 My Strada Bianca is still in D2R2 mode, with 32mm Compass tires, so we went dirt road riding today. Then we met an old friend. OK, who just bought the big Hampco on ebay? Whoever you are, you got a great deal!! Strada Bianca on summer trip to Pyrenees. Casartelli memorial on the Col de Portet d'Aspet. Memorial was really beautiful and moving. So you can run a 32-33 with the Seven fork? 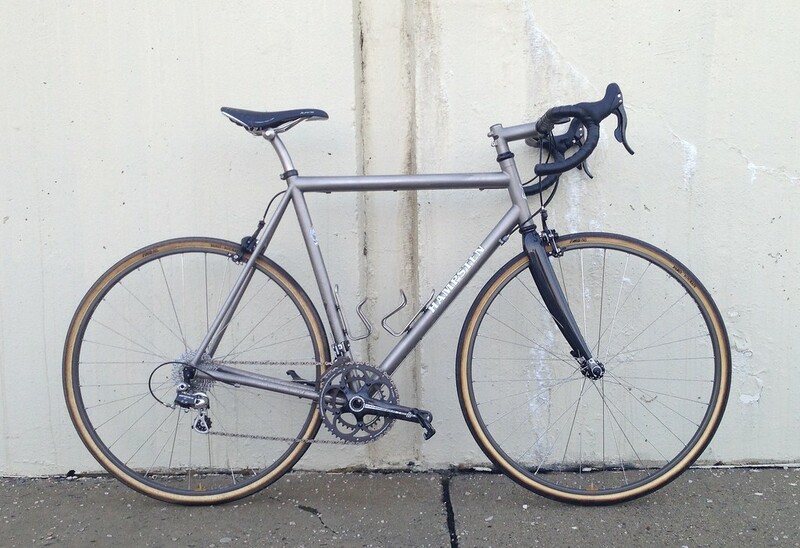 Happy camper bike: perfect combo of tires and perfect ti frame....that thing must roll so nicely over junky/rough roads. This color comes alive in the sun. I suggested something like duck egg yolk yellow-orange. It's a bit earthier and it's sparkly. I love how it turned out. It plumps when you cook it!